First, there’s the Team Shelby swag. No other club packs your membership kit with more than Team Shelby! Whether you are a renewing member or new to the “family” of Shelby enthusiasts worldwide, our goal is to help you enjoy a high-octane lifestyle! 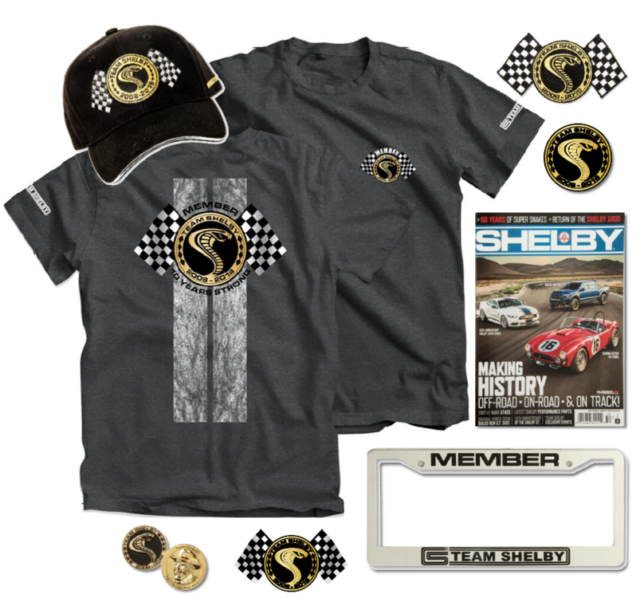 From a Unique Membership Card, Shelby Annual Magazine, Team Shelby Hat, Collector Coin, Team Shelby Tee-Shirt, Windshield Cling, Team Shelby Flag, Lapel Pin and Special Bonus Magnet, the contents of your Team Shelby Membership Kit more than pay for your membership alone! Please note that membership contents are subject to change. Team Shelby was designed and engineered by real enthusiasts inside and out of Shelby. Team Shelby was originally formed in 2008 by Carroll Shelby. He wanted to create a club for people to truly enjoy their cars. He knew the world had changed, and he wanted his companies to meet the needs of the new generation of Shelby owners. His vision was to knit together those people with the owners of early Shelby’s and give everyone fun new ways to experience their high performance vehicles. Mr. Shelby imagined a place where owners could talk about their latest conquests at the track, swap stories, share photos and learn new ways to hot rod their cars! He wanted to link all of the enthusiasts into one “dream garage”… thus, Team Shelby was born! Team Shelby has many free, open access forums, news sections and member only areas dedicated to the community. 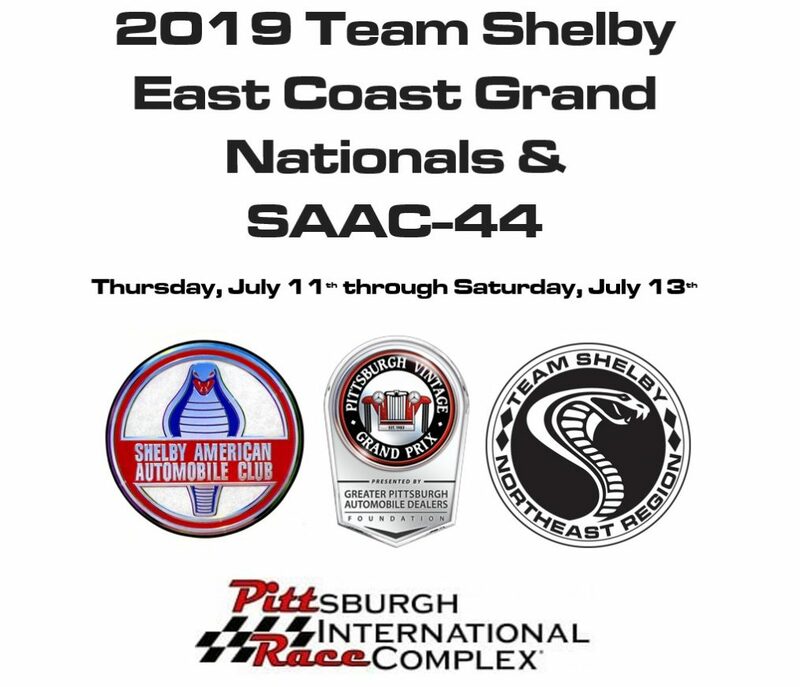 In addition, Team Shelby has a full series of events for 2017, which include VIP Experiences, track days, National & Regional gatherings, cruises, car shows and more! Ownership of a Shelby is not required to be a member. The club is dedicated to serving all Shelby enthusiasts past and present including those that own cars built in the 1960’s and Shelby Dodges too! Carroll Shelby (Team Shelby Member #001) said: “We built Team Shelby for anyone who is passionate about Shelby cars! We’ll have a blast and we’ll do it the Shelby way! Your Team Shelby Club membership kit and I.D.card will generally arrive within 6-8 weeks. Contact Brianna via e-mail here.